One of the ten greatest books written on poker, this must-have book should be in every player's library. If you're serious about winning, you'll realize that most of the profit comes from being able to read your opponents. 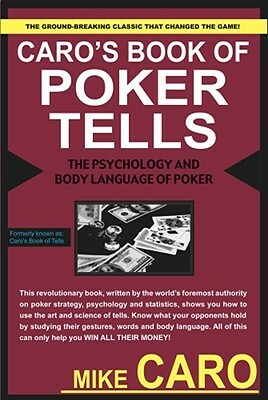 Caro reveals the secrets of interpreting tells - physical reactions that reveal information about a player's cards - such as shrugs, sighs, shaky hands, eye contact, and many more. Learn when opponents are bluffing, when they aren't and why - based solely on their mannerisms. Over 170 photos of players in action and play-by-play examples show the actual tells. These powerful ideas will give you the decisive edge. 320 pages.